Speaking at a parliamentary reception to celebrate UK radio in the House of Commons , Ed Vaizey MP, Minister of State for Culture and the Digital Economy announced that 70% of new cars now come with digital radio as standard. The Minister will hail the great progress made by the vehicle manufacturers which will enable drivers to enjoy the full range of national and local digital stations. This entry was posted in DAB and tagged co-star, costar, digital radio, Digital Radio UK, Ed Vaizey, Ford Ennals, Mike Hawes on July 22, 2015 by Tim Cosgrove. The UK Society of Motor Manufacturers and Traders says that more than 61 per cent of new cars now come with digital radio as standard, up from 43.5 per cent in Q4 2013 and only 4.4 per cent in Q1 2010 (CAP/SMMT) at the beginning of the Government’s Digital Radio Action Plan. 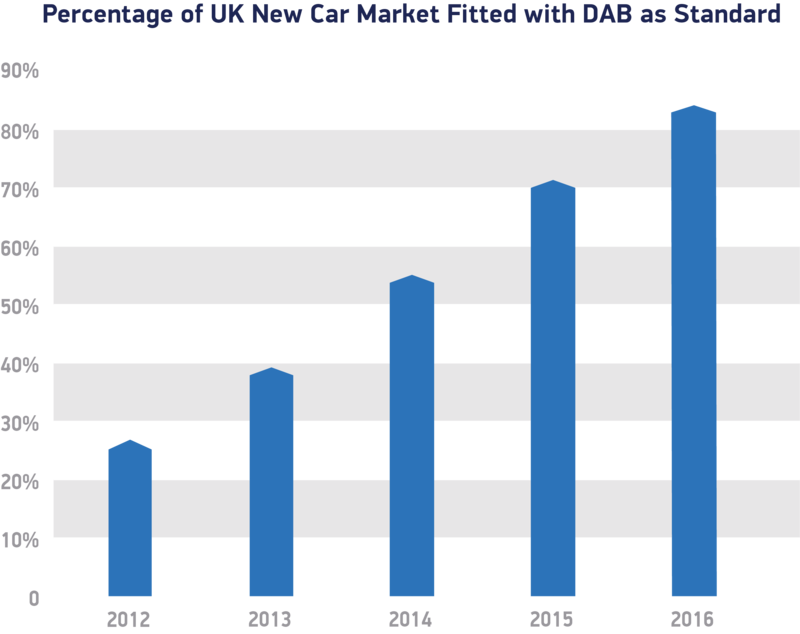 Over 21% of new commercial vehicles were sold with DAB as standard in Q4 2014 (28% in December 2014), up from 10% in Q3. 90 per cent of the top 20 manufacturers are now fitting digital radio as standard in some or all of their cars. Expansion of BBC national DAB coverage will be completed in 2015. Half of the 162 new national digital transmitters have been built with the rest due in this year, taking the coverage of BBC national stations on DAB to 97 per cent. The UK Government’s radio switchover coverage criteria – national DAB coverage comparable to FM, 90 per cent local DAB coverage and 50 per cent digital listening. This entry was posted in DAB on February 11, 2015 by Tim Cosgrove.